The end is near! 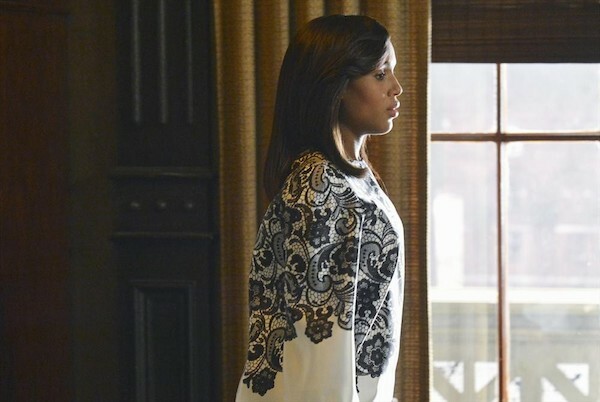 Scandal, Agents of S.H.I.E.L.D., Castle and other ABC series' season finales have been scheduled. ABC announced the finale dates today, starting with The Neighbors, which will wrap up its second season in April. The finales that follow include Scandal, Last Man Standing, Resurrection and Once Upon a Time. We learned last year that Scandal's third season was being shortened from 22 episodes to 18 with the speculated reason being linked to star Kerry Washington's pregnancy, which was not being worked into the plot of the series. So that explains Scandal being down for an April finale, as opposed to May, which is when we might have expected it to wrap up, especially considering how long it took for the series to come back from its winter hiatus. The bulk of the network's other finales roll out in May, however, including Revenge, Modern Family, Grey's Anatomy, Shark Tank and Nashville. ABC left Once Upon a Time In Wonderland off the list, though it looks like that series is set to finish up Season 1 early in April. No idea why they didn't include it on the list, but for fans of the show, there are three episodes remaining in its current first season. Newcomers Agents of S.H.I.E.L.D., The Goldbergs and Trophy Wife will all wrap up on Tuesday, May 13. At that point, we'll probably know whether or not any or all of those series are going forward. May 13 is the day of the ABC upfronts. If the network doesn't announce renewals before then, that's most likely the day their fate will be made known one way or another. As a fan of all three series, fingers crossed that their first season finales aren't their last. The comedies are the last to wrap up for the season, with The Middle, Mixology and Modern Family all set for May 21.